With the opening of a Magnolia Bakery, Moscow residents have a new place to indulge their love of American sweets. Magnolia, which has outlets as far afield as Beirut, Dubai and Tokyo, recently added Moscow to the list of cities it has conquered. Despite the difficult political and economic situation in Russia, Abrams is sure that the new store will as successful as the company’s other international branches. Abrams is planning to open at least five cafes in Moscow in the following years, predicting sales to be above the average. The first shop is located at Kuznetsky Most, in the center of the Russian capital near the Kremlin. Magnolia is not the first cupcake shop in Moscow, however. That honor goes to the Upside Down Cake Company (UDC), created in 2010 by American chef Isaac Correa. The editors of Moscow's online lifestyle magazine The Village don't think that UDC has much to fear from Magnolia, however. According to The Village, UDC has done alot to adapt to the tastes and preferences of the Russian market by making its products less sweet and using more natural ingredients, whereas Magnolia plans to stick to the same standard flavorings and products it offers at its other outlets. Magnolia is more likely to compete with the restaurants in the Friends Forever chain, which also offer traditional American-style sweets. Pavel Kosterenko, co-founder of Friends Forever Co, says they serve cupcakes at all of their establishments, which include a cafe called simply I Love Cake. «When we opened our first project, Friends Forever, six years ago, the cupcake was the main character on our menu. For us it's not just a dessert in a cafe, but a lovely present as well. It's a very beautiful and tasty dessert. 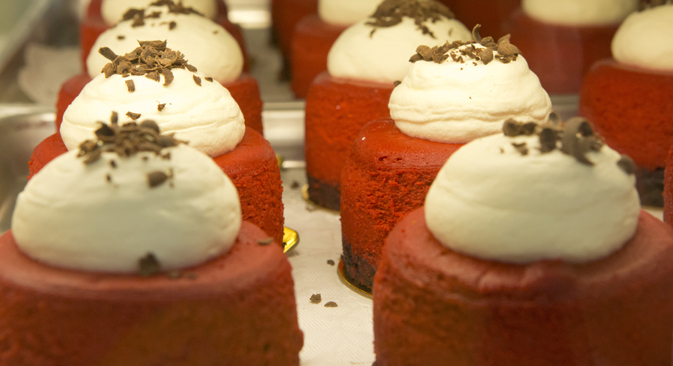 Many of our guests already know what a cupcake is, so they come to us boldly. We make various flavors, but I think caramel is the most popular,» Kostrenko said.